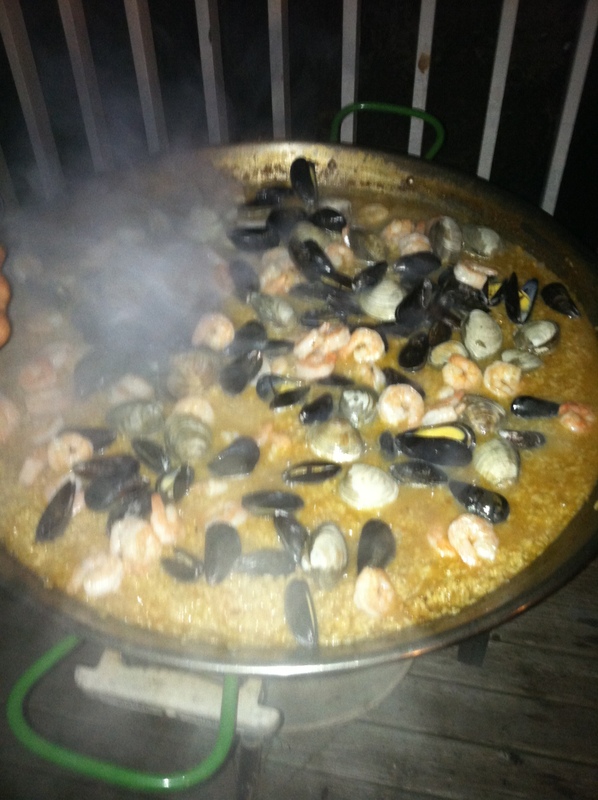 One of the great traditions of the Montuak weekend is seafood paella. 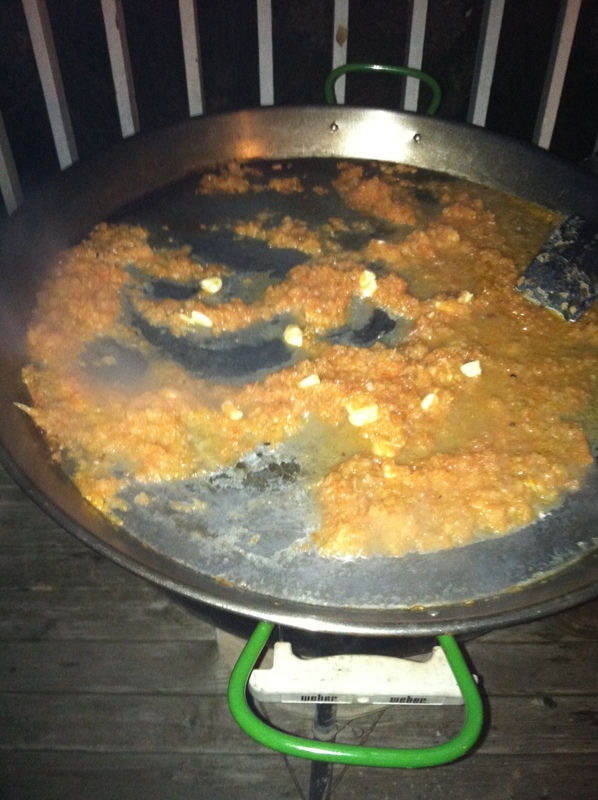 I was not the chef or mastermind behind this, but I wanted to show how this epic, epic paella was made. 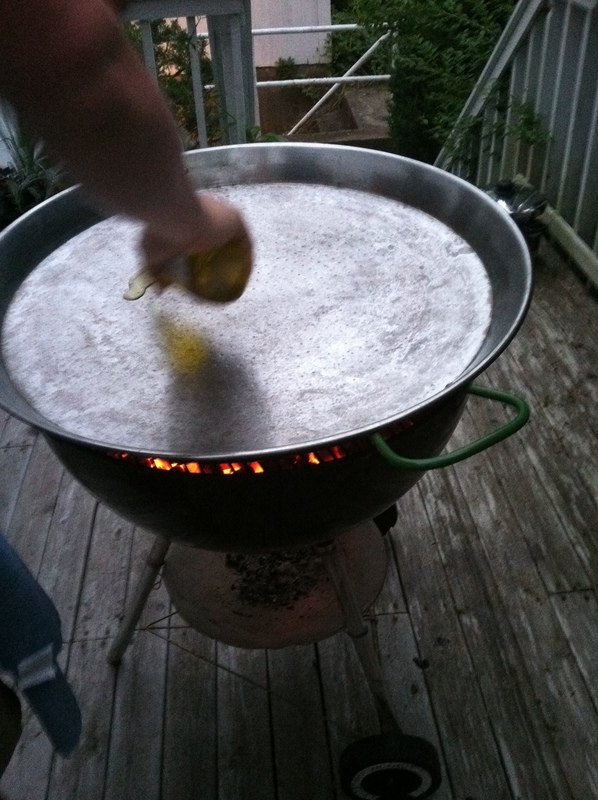 Yes, they have a paella pan that is slightly larger than the average charcoal grill. One of the advantages to being on the shore is fresh seafood! 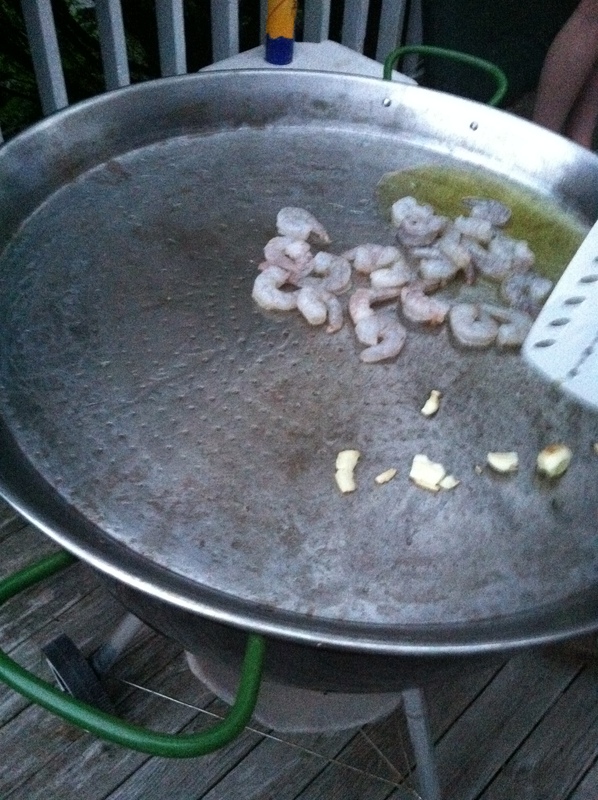 The mussels and clams were cooked on the stove top, but the shrimp went straight onto the pan. 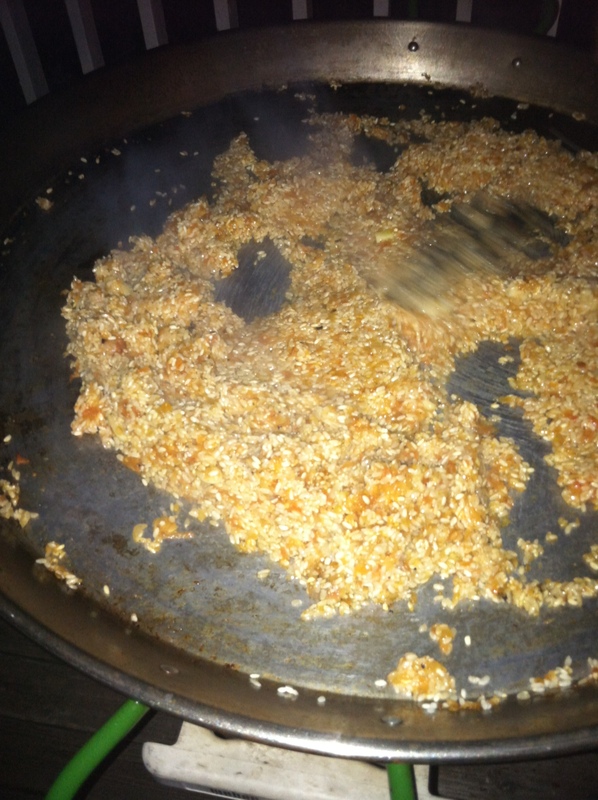 Look at that rice browning! Starting to add everything together…. 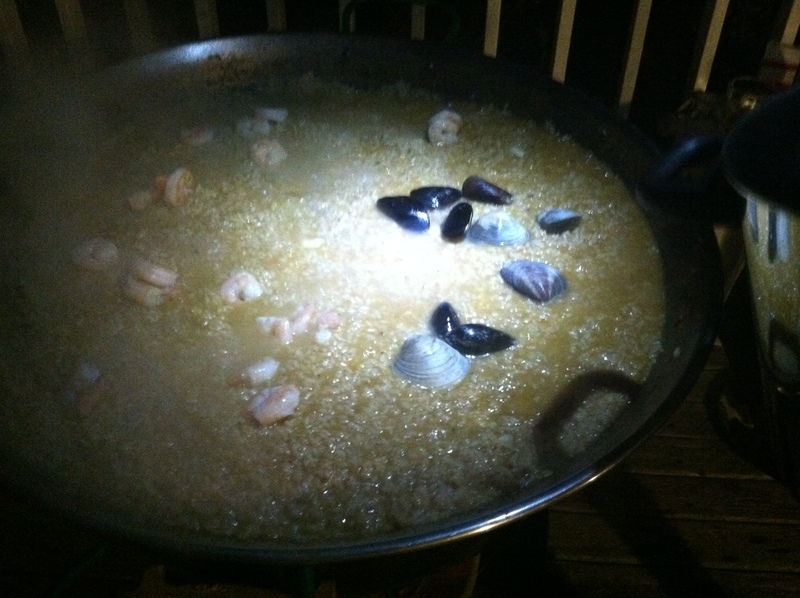 The last step is throwing in the mussels and clams. 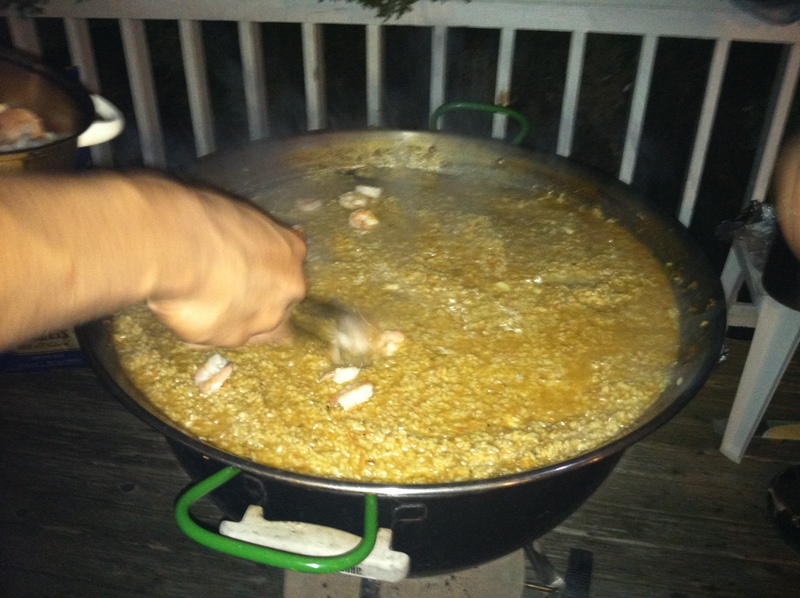 Here we have a seafood paella for fifteen to twenty people. 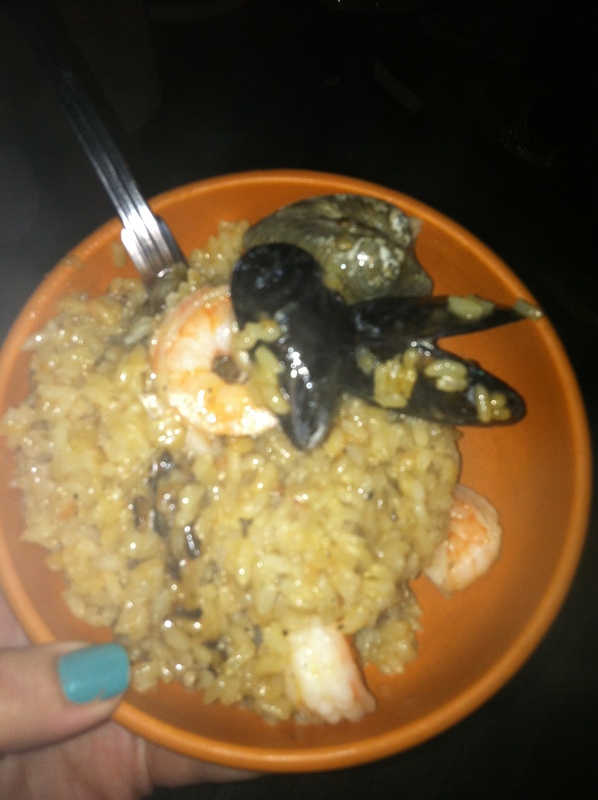 Beautiful bowl of seafood. That wraps up my pictures from the Montauk weekend. We also roasted marshmallows on a beach camp fire, took long walks down the sand, and even though the weather wasn’t perfect, we saw the mist over the ocean. If you ever get a chance, Montuak is a very beautiful, special corner of Long Island.